Rules of Engagement for ideal teamwork and collaboration. How do you become an opportunity maker? 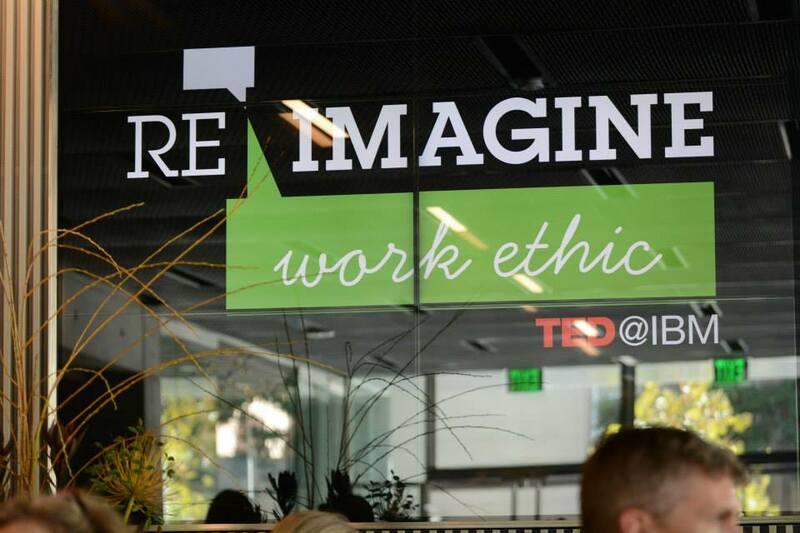 #TEDatIBMReimagining WorkAn open world of collaboration has allowed us to reimagine the way we work. A1: It seems that most of the really cool things that happen to me are seemingly random. A1: Getting this job was definitely an unexpected opportunity, especially with my educator background! A1 - but I was introduced to a guy who was building a multiplayer game site. Ended up partnering with him and selling to Yahoo! A1. A happy hour lead to me getting hired at IBM. Just perfect timing and connections. @LindsaySkarda Wow! That sounds awesome. Why was it random? Business conferences lead to unexpected opportunities, discussions. Content is important but business happens in the margins of meetings. @paige_sandhu @LindsaySkarda Yes, it's crazy how sometimes things just work out. @joelcomm It's always pretty exciting when it's totally random! @lawolf it's all about making yourself available an OPEN to opportunity! Steve Jobs decided to create an iPhone. So I randomly created an app that went to #1. Never saw that coming. ha a random happy hour in wash DC led to me meeting @bryankramer - rest is history! @kushaanshah That's awesome! Forward me the blog, I'd love to take a look. More than once I've become unemployed at just the right time for a better opportunity to come along. #Serendipity ! @cshasarrived I love those types of love stories. I met my husband at an engagement party. We had the same major and minor at the same school, but never cross paths until then because he was 4 years older. @danielkdtwt when I lost jobs (back when I had jobs), it was the BEST THING EVER! Seems my life is all unexpected cicrumstances. Go with the flow. @danielkdtwt When one door closes another one opens! @Korenlis Circumstances. Can't type today. My wife found $20 floating in the surf at Waikiki. That led to the opportunity for a slightly nicer dinner. I really like this Crowdchat platform. First time using it. I would love to use this in the future. Been underwhelmed by most other Twitter chat apps. This seems to do so much more. @cshasarrived be careful young lady. @furrier I'm definitely going to take a look and add it to my toolbox for 2015. @furrier we should talk. I may want to use this to launch my book, Twitter Power 3.0, in March 2015. I just discovered this from @isocialfanz and it's so amazing and easy to jump in and meet people. I evaluated all the tools this is far away the best.